Dyslexia Courses Ireland offers support to teachers at primary and secondary level, parents of students with dyslexia and the students who have dyslexia. The support is offered through courses/study skills workshops and information /resources are made available on-line. Information nights for parents of students with dyslexia. Study skills workshops for students with dyslexia. Courses on dyslexia for mainstream teachers who have some SEN hours. Maths and dyslexia course for teachers at second level. 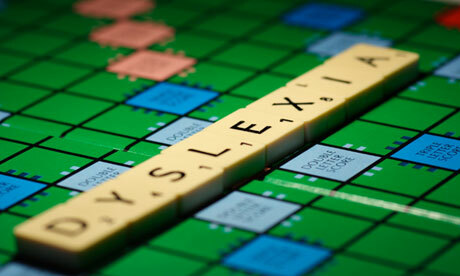 Course for teachers on the study skills that support students with dyslexia. The Factsheets on Dyslexia at Second Level. This set of 18 Factsheets is primarily for teachers. Factsheet 16 is for parents on how they can support the student with dyslexia. Factsheet 17 is for students with dyslexia and includes advice on study techniques which help. A Factsheet for the parents on how they can support the primary school child with dyslexia. A Factsheet on web-based resources including on-line tutorials, study notes and examination preparation for second level students. Factsheet on Ten Tips on Study for Junior Certificate students with dyslexia. Factsheet on Tips on English Paper 1 in Leaving Certificate for students with dyslexia. Strategies/resources for the mainstream teacher who may have SEN classes. 'I found it brilliant, jam-packed with information and advice and it was performed in such a professional manner. Dyslexia Courses Ireland was set up in 2015 by colleagues who have been working in the field of dyslexia in Ireland for many years. Wyn has been involved with the Dyslexia Association of Ireland for over 20 years and has designed and presented courses on dyslexia for parents, teachers and students. She has written extensively on the topic including Lost for Words, a Practical Guide to Dyslexia at Second Level, (3rd Ed. 2006), and Dyslexia, An Irish Perspective (3nd Ed. 2011) as well as being the co-author of the Factsheets on Dyslexia at Second Level in 2013 (updated 2014, 2015, 2016). She has been a presenter for SESS, the Special Education Support Service. She is a former Guidance Counsellor and Special Educational Needs teacher. Her three sons have dyslexia. Deirdre has a Masters in Educational Psychology and has been working for a number of years with the National Educational Psychological Service. Before qualifying as a psychologist, she taught Mathematics and History at all levels up to Leaving Certificate higher level. Deirdre also has a Higher Diploma and a Masters in Special Education. She has worked as a resource teacher in a second level school. Deirdre has also experience in both primary and secondary schools both as a psychologist and a teacher.